Start your day right with an invigorating power shower (if you can leave the comfort of your bed) before heading down to our on-site restaurant to build your perfect breakfast from our extensive spread. And what better way to round off a busy day than with a long, lazy dinner and a nightcap (or two) at our friendly bar? A perfect day, the ibis way. Just over two hours from both London and the Cotswolds, the city of Gloucester is rich with attractions including Gloucester Cathedral. At just over 20 minutes away, Cheltenham Racecourse promises an exhilarating day out. 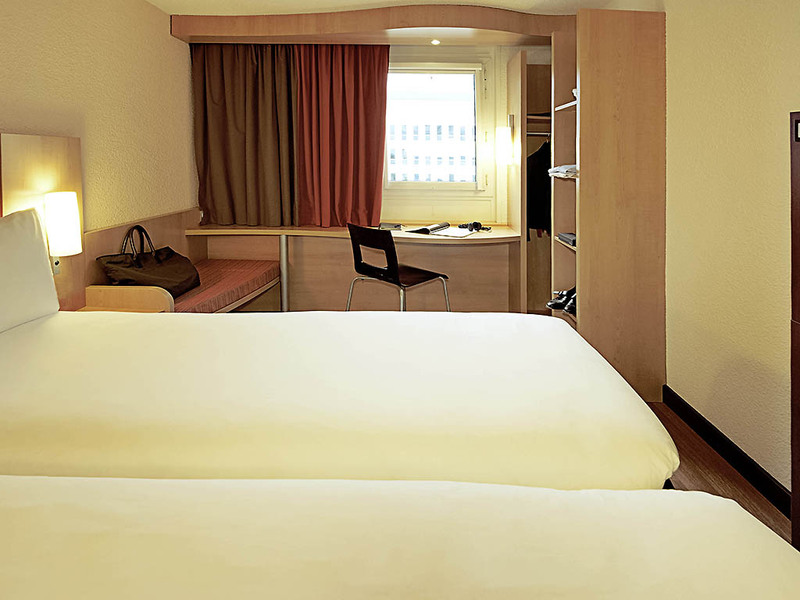 Functional, comfortable, ideal for working or relaxing, the ibis room boasts all the features you want most: cosy bedding, ensuite bathroom, hairdryer, tea/coffee facilities, a big desk, Free WIFI Internet and TV with all the best channels.